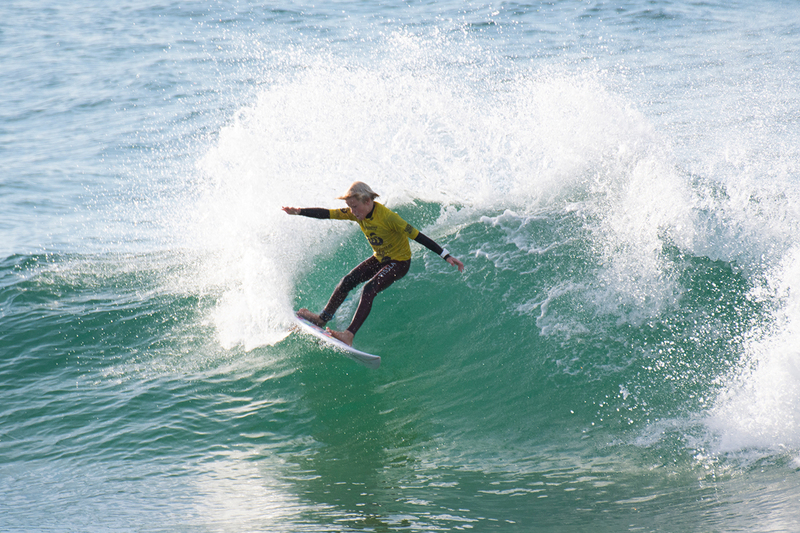 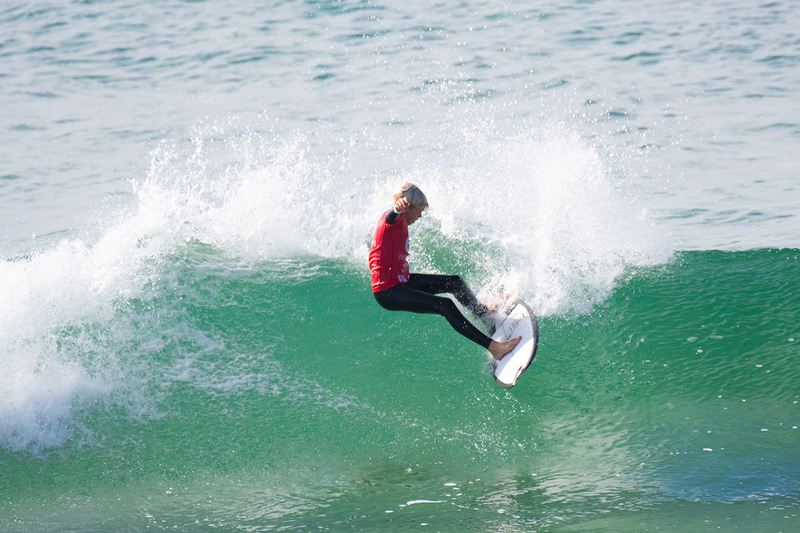 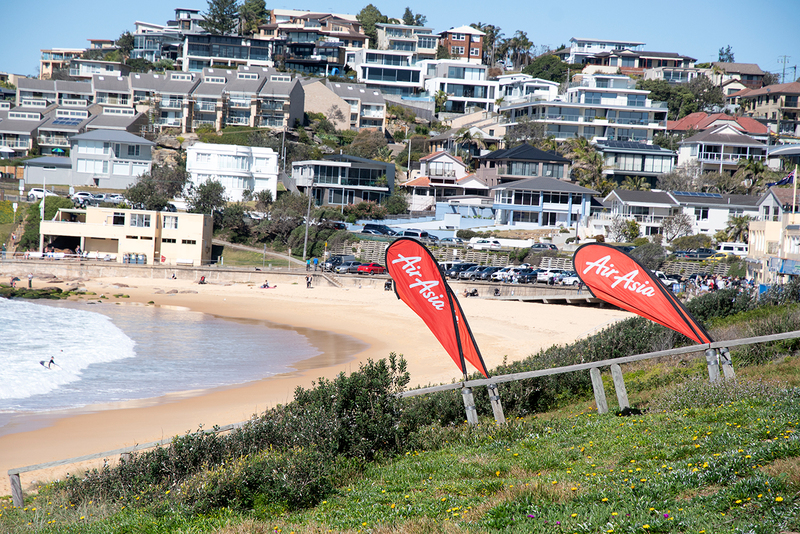 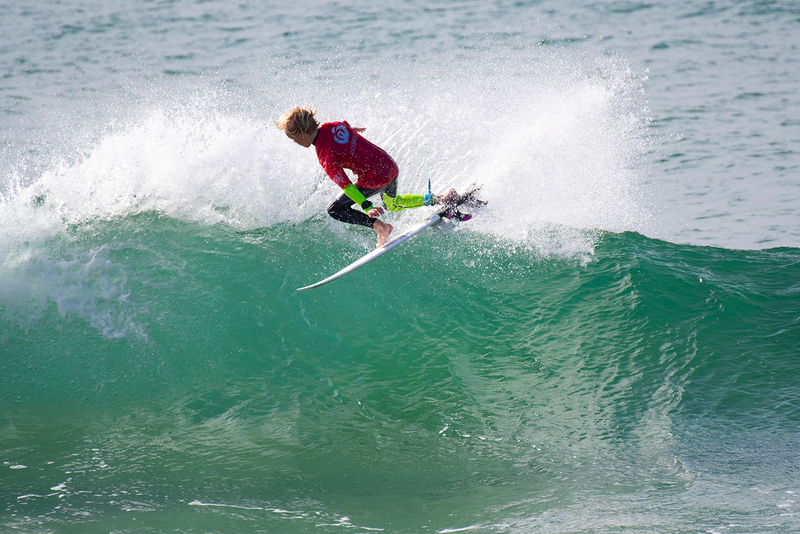 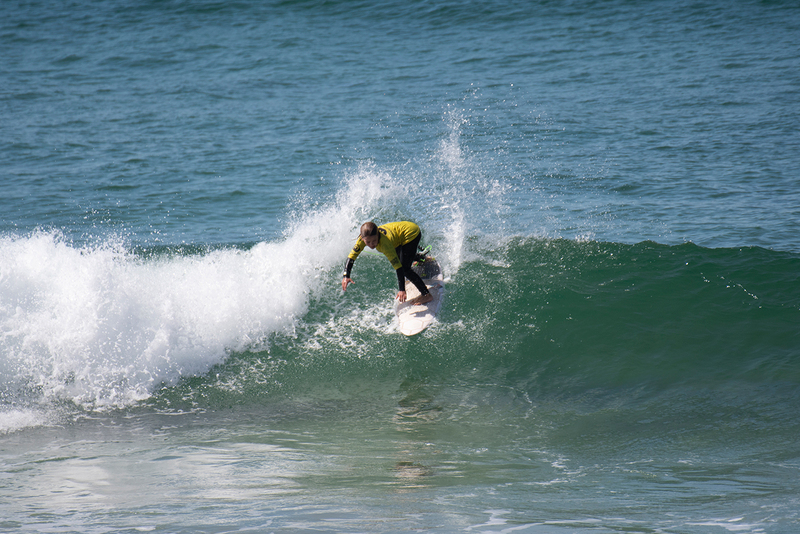 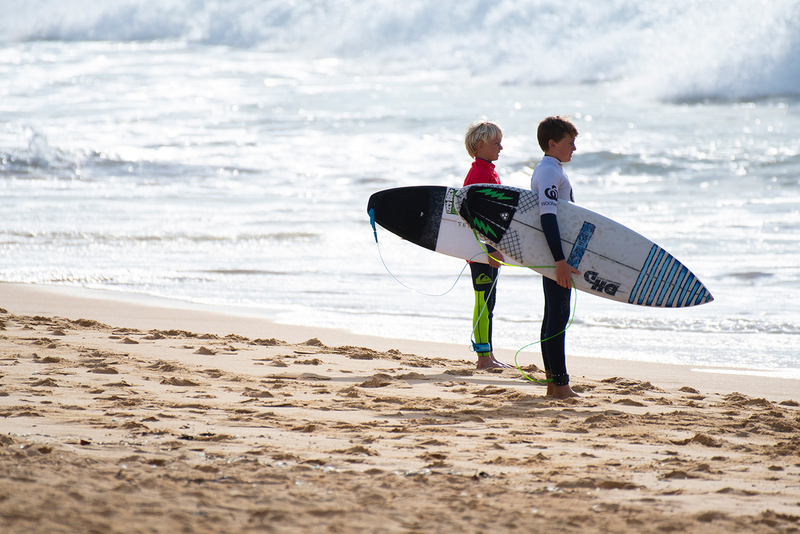 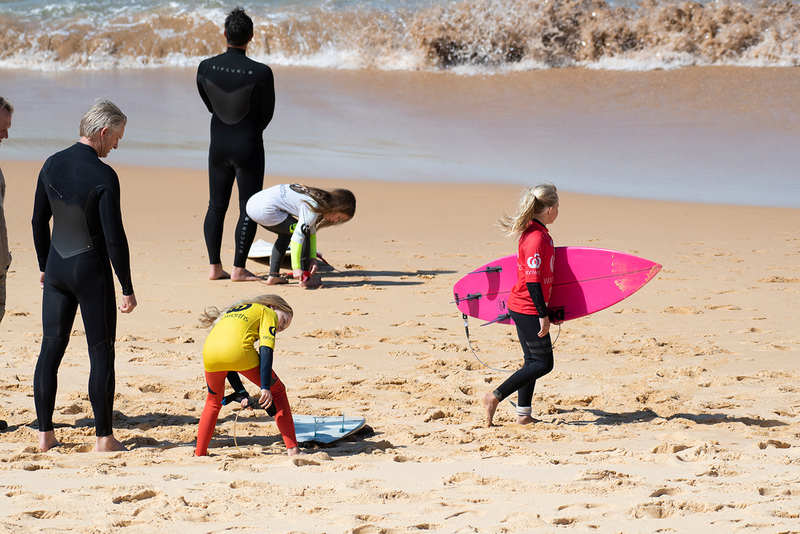 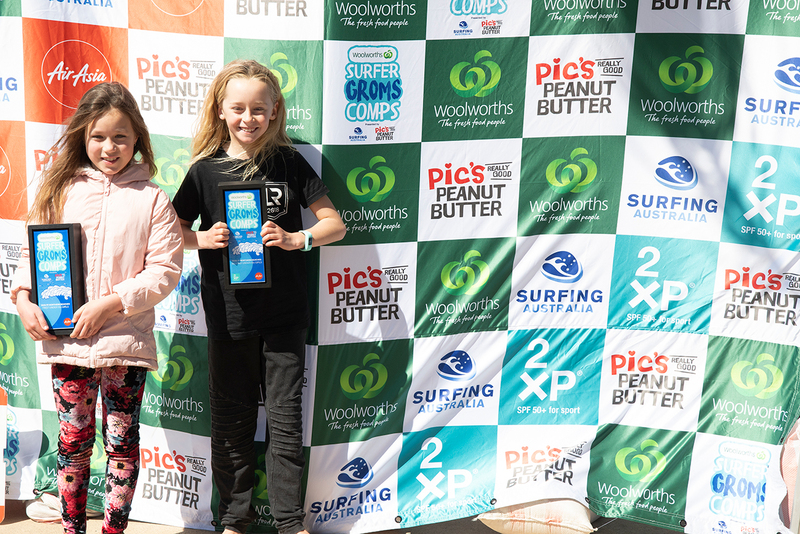 FINALISTS DOMINATE FUN CONDITIONS AT THE WOOLWORTHS SURFER GROMS COMP ON THE NORTHERN BEACHES. 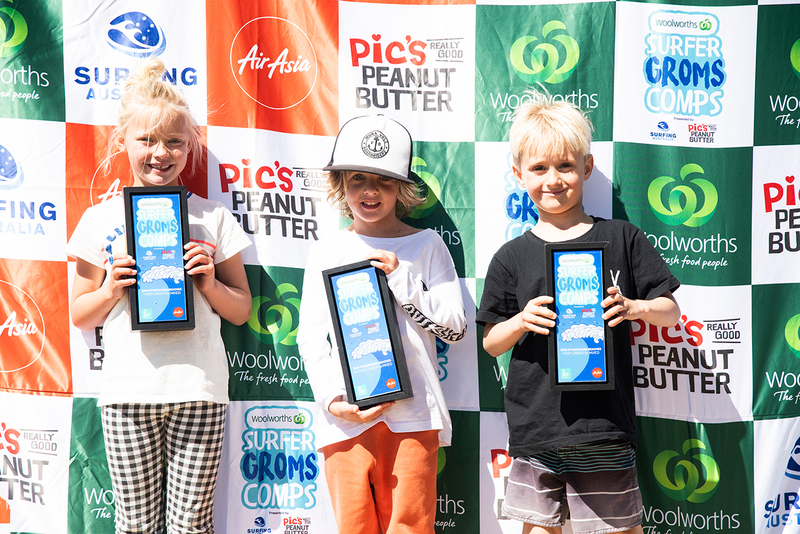 The Woolworths Surfer Groms Comps Series presented by Pic’s Peanut Butter on Sydney’s northern beaches saw seven new champions crowned today following an exciting day of action in fun two-foot surf. 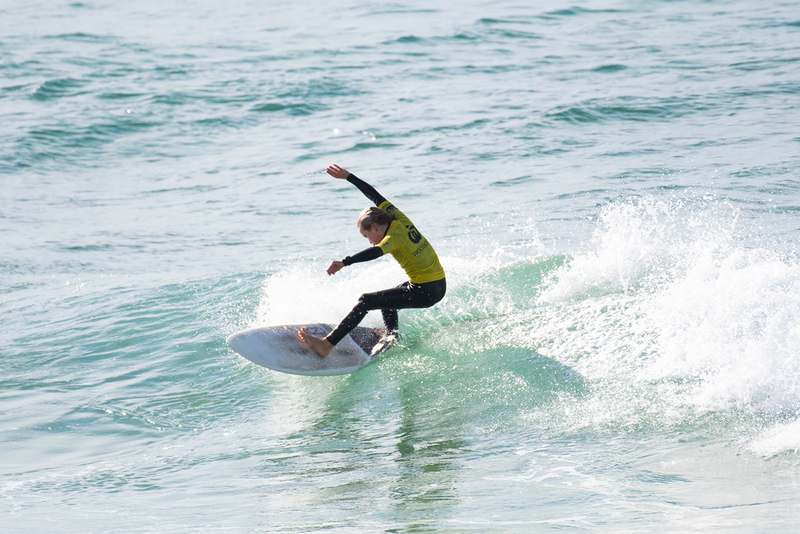 Nate Hopkins (Norah Head) set a high benchmark in the Under-14 Boys final, charging hard out of the gate to post a near-perfect 9.00 ride to put his opposition on the ropes. 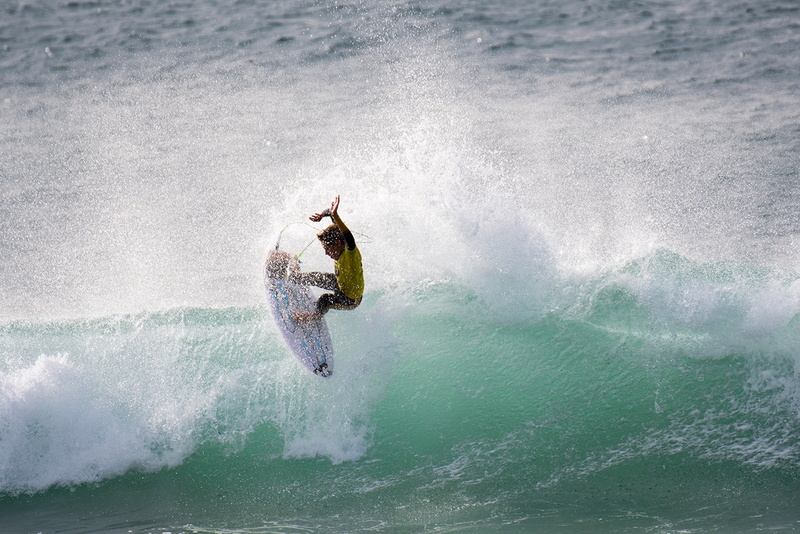 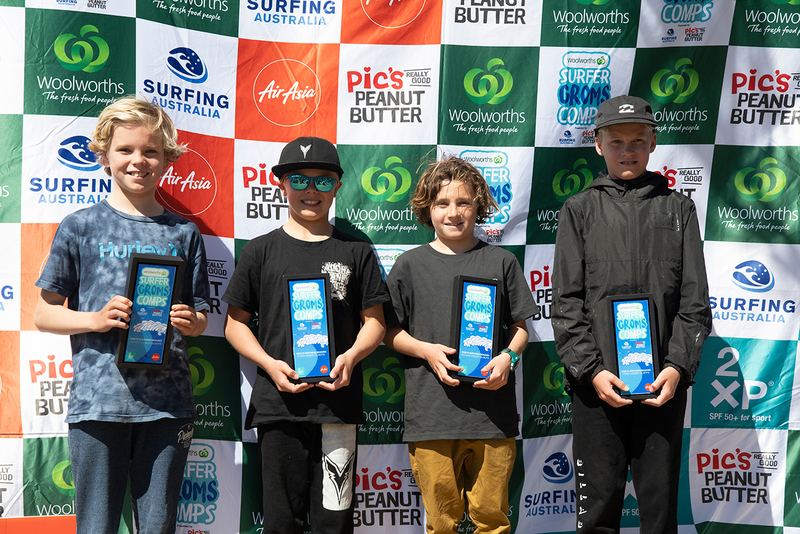 Hopkins nailed a chain of critical frontside snaps to post the aforementioned score and prevent Hughie Vaughan (Bateau Bay) from claiming his second win from as many events. 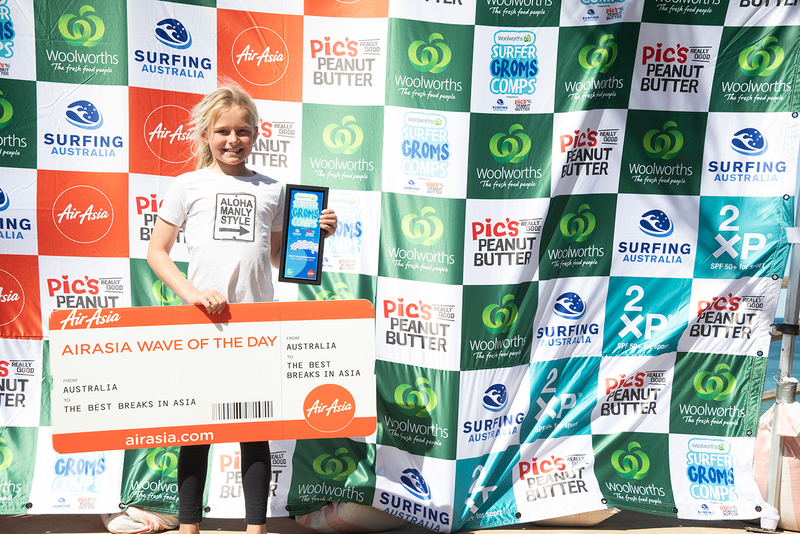 Oceanna Rogers (Shell Cove) claimed her second title in a week, taking top honours in the Under-14 Girls division. 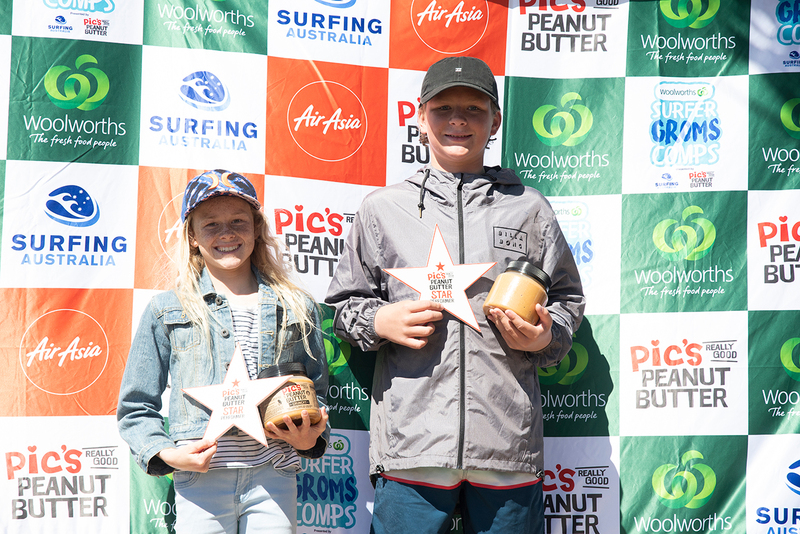 Rogers dominated the 20-minute final, hammering an array of critical turns to post a massive 18.13 two-wave heat total and claim the win ahead of dual division finalist and Under-12 Girls winner Ruby Rockstar Trew who took the runner-up position. 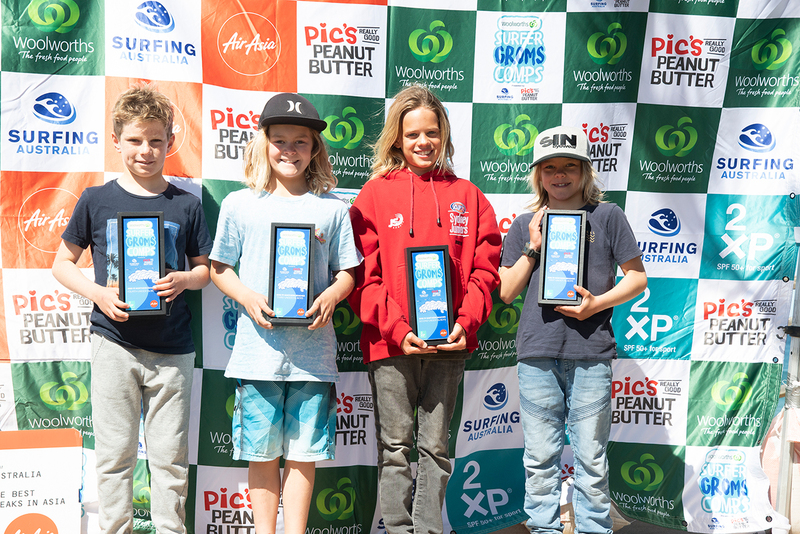 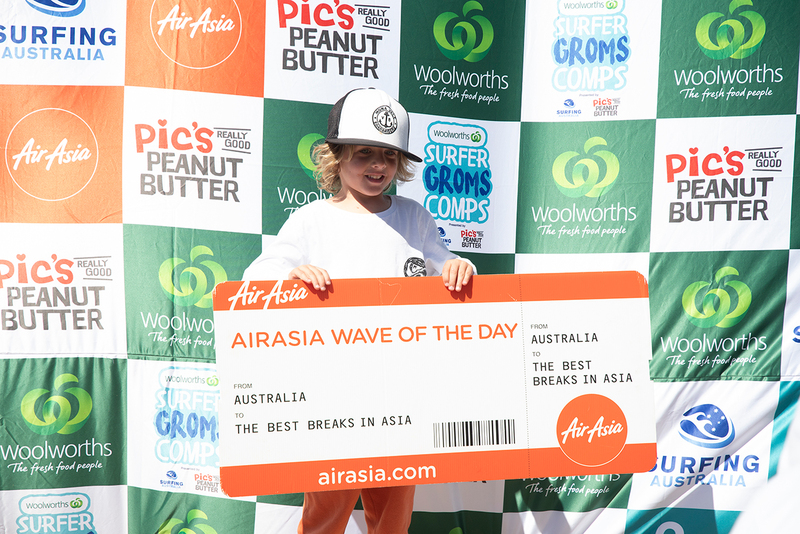 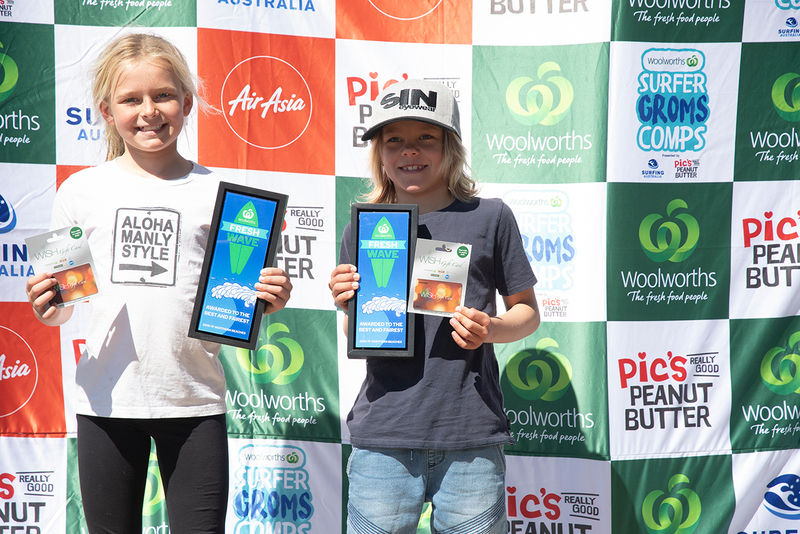 Northern Beaches native Fletcher Kelleher (Freshwater) continued his dominance of the Woolworths Surfer Groms Comps Series presented by Pic’s Peanut Butter, taking out the Under-12 Boys division. 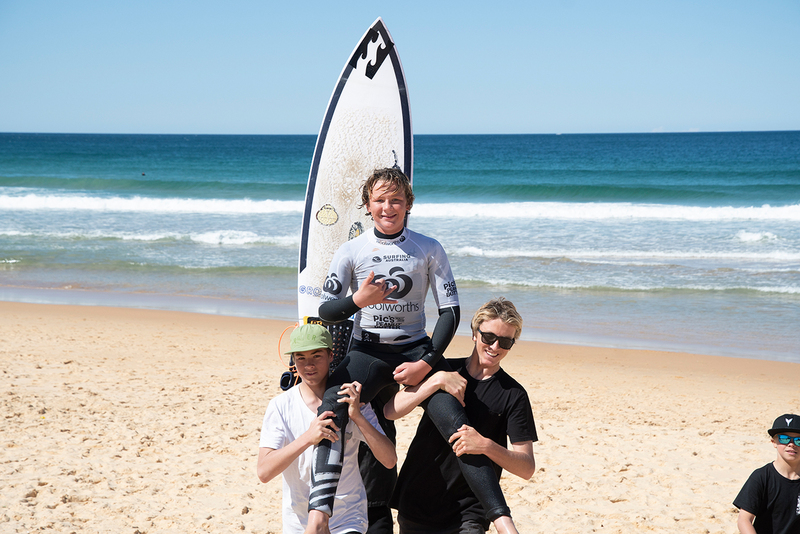 Fresh off a victory at event one at Cronulla, Kelleher showed the same flair that allowed him to take the top spot on the dais last week, posting a respectable 12.53 two-wave heat total. 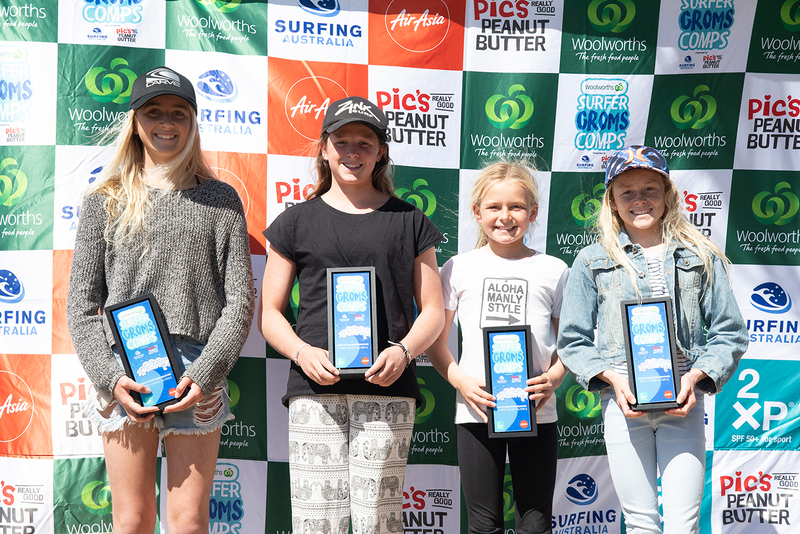 In the collaborative Under-12 and Under-10 Girls final, Ruby Rockstar Trew (Seaforth) took on a stellar field of younger competitors to claim the 12 Girls final. 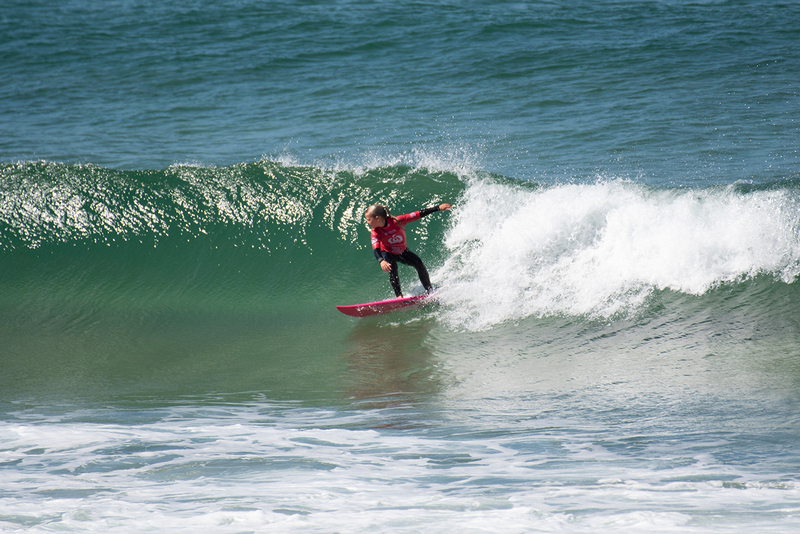 In a similar fashion to yesterday’s standout performance, Trew posted an excellent 18.93 two-wave heat total to claim the division ahead of Annalise Wong (Cromer) who got the nod to win the Under-10 Girls. 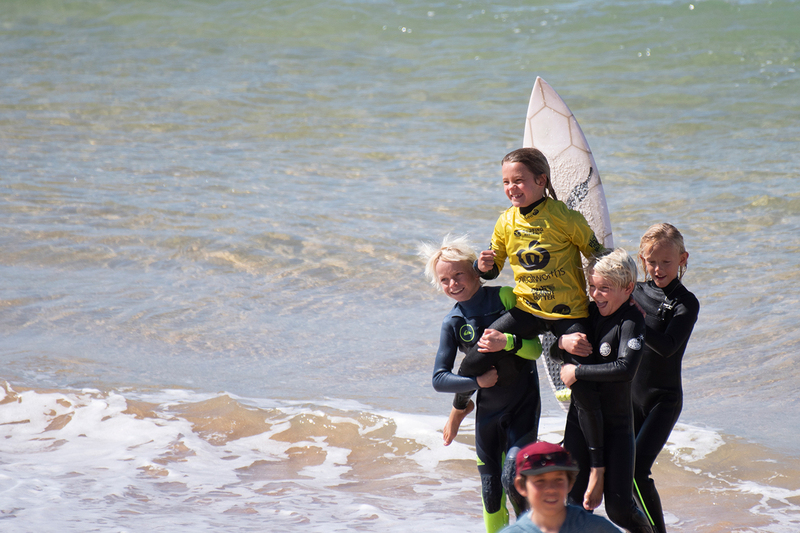 Surfing well-beyond his years, Ocean Lancaster (Merewether) annihilated section-after-section in the Under-10 Boys division. 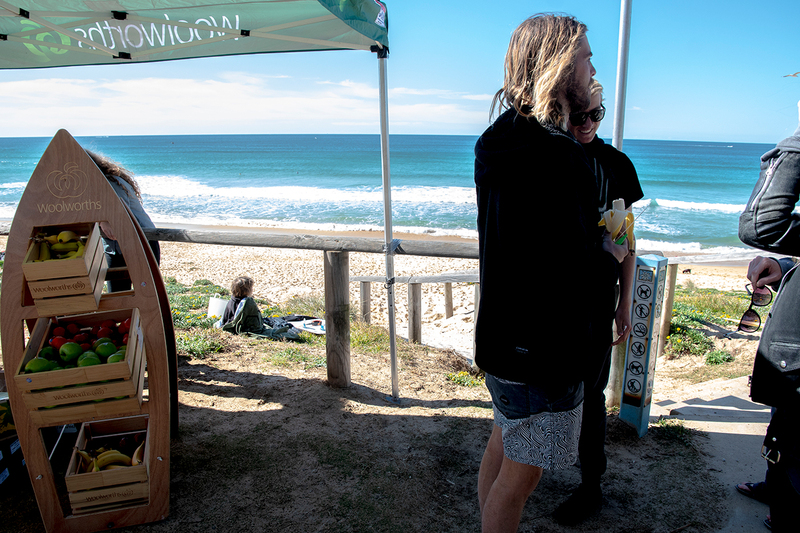 The Novocastrian natural-footer posted an impressive 15.5 two-wave heat total to take out the final ahead of fellow event standout and local surfer Sullivan Tucker (Freshwater). 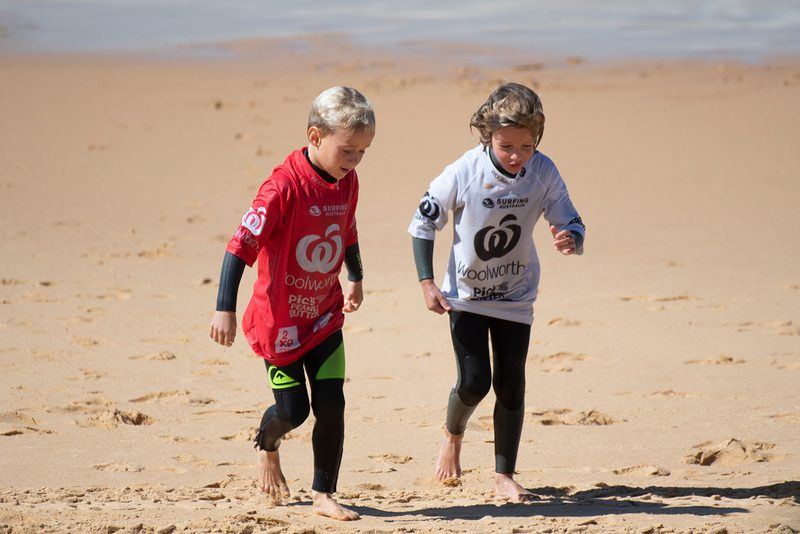 Jay Whitfield (Maroubra) ensured a title would head south of the Harbour Bridge, taking out the Under-8 Mixed Parental Assist division. 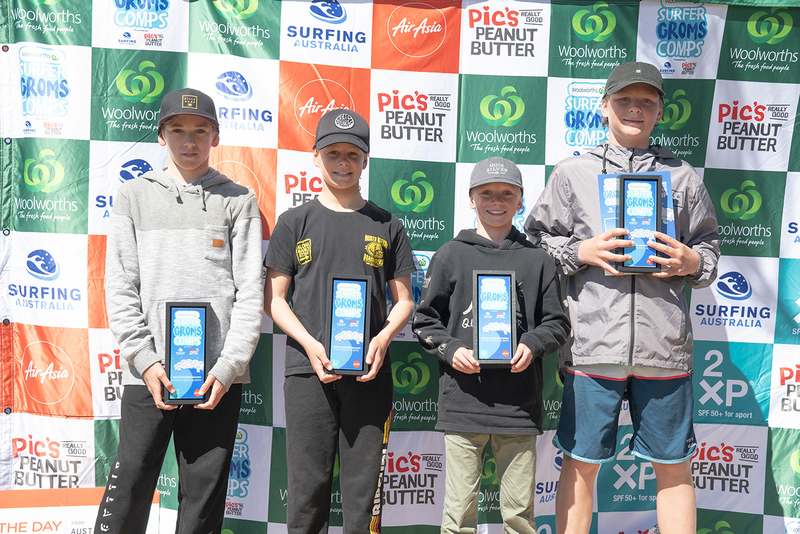 In the second of two finals, Whitfield went neck-and-neck with Henry Smith (Mona Vale) who put up a valiant fight, however after the scores were added up, the title was awarded to Whitfield after one heat win and a runner-up finish. 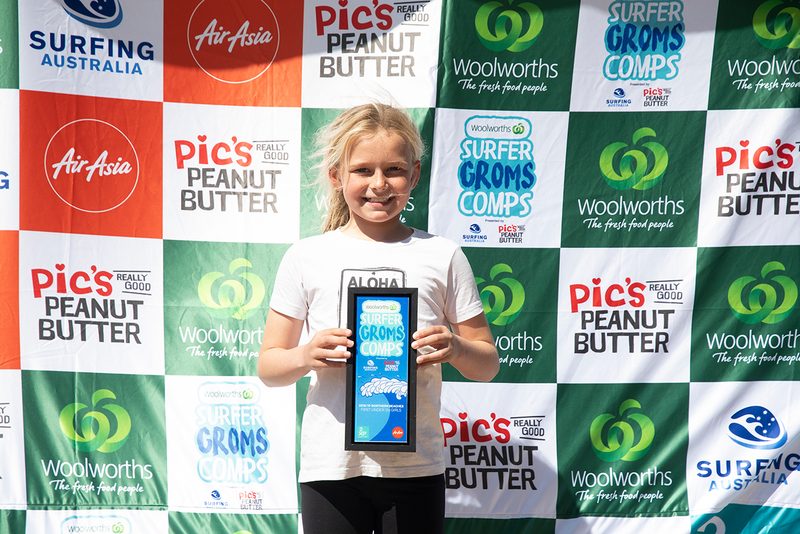 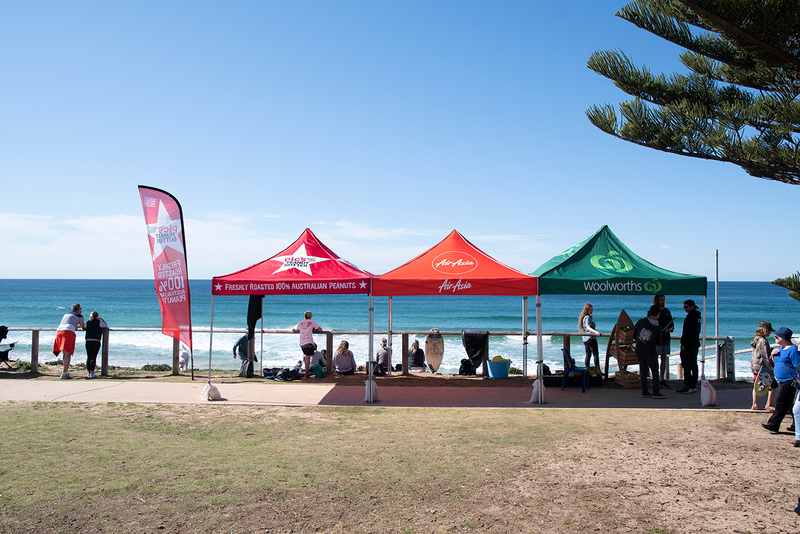 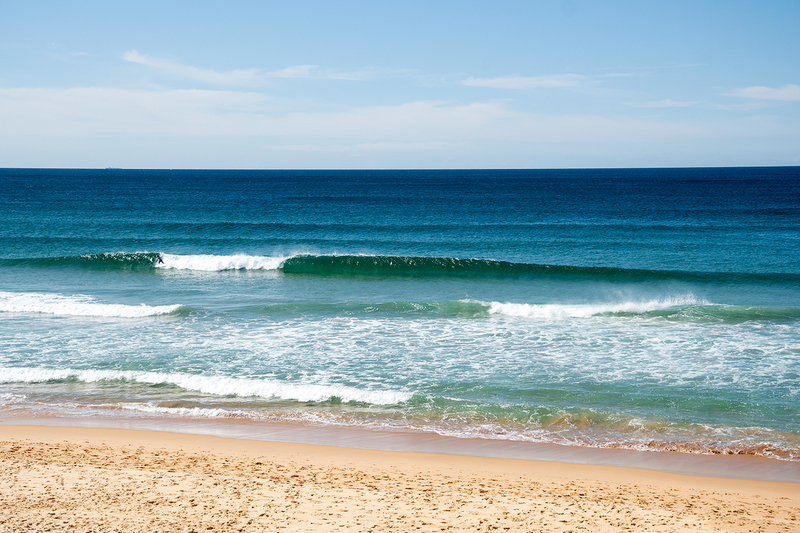 The main base for event one of the Woolworths Surfer Groms Comps Series presented by Pic’s Peanut Butter was Curl Curl with backup locations of Dee Why, Long Reef and Collaroy. 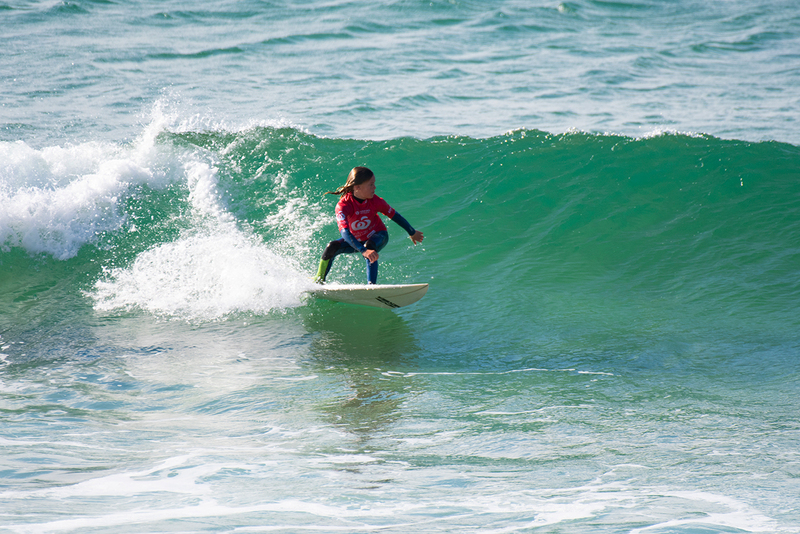 1 – Ruby Rockstar Trew (Seaforth) 12s.